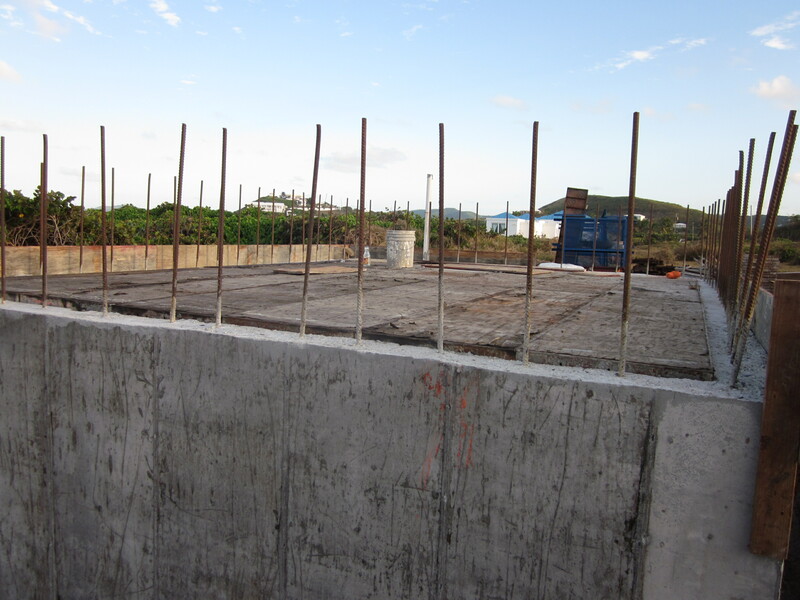 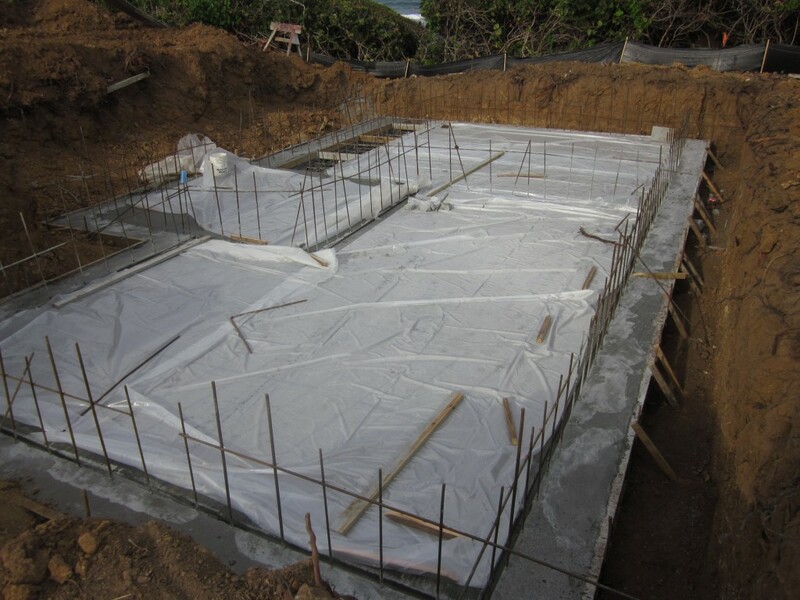 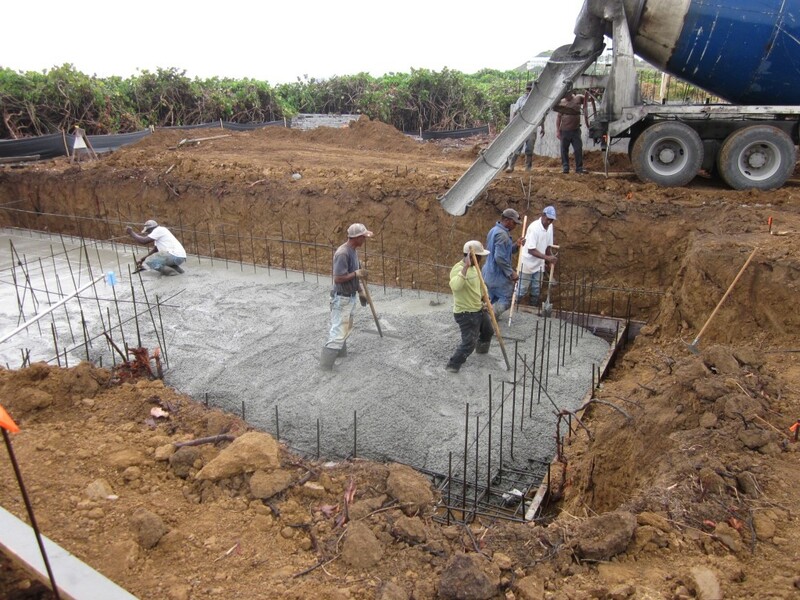 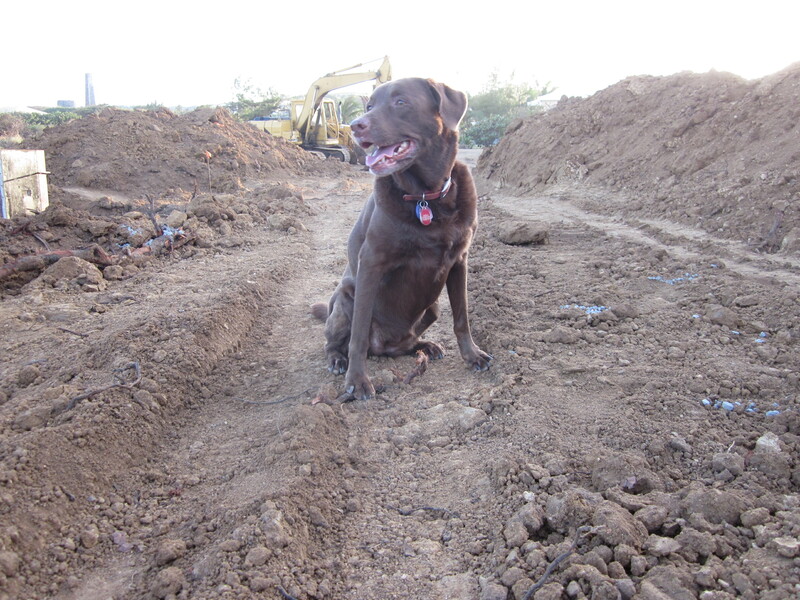 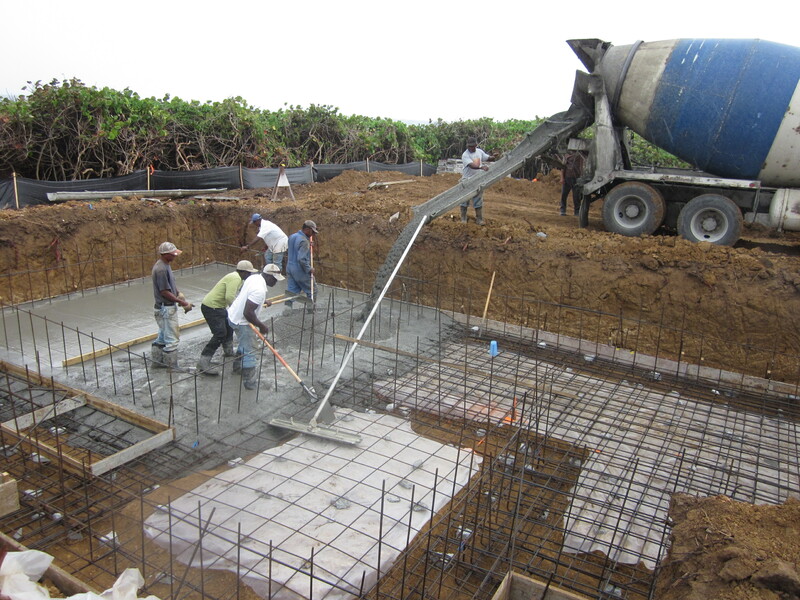 In light rain on Wednesday morning the cistern slab was poured (26 yards). 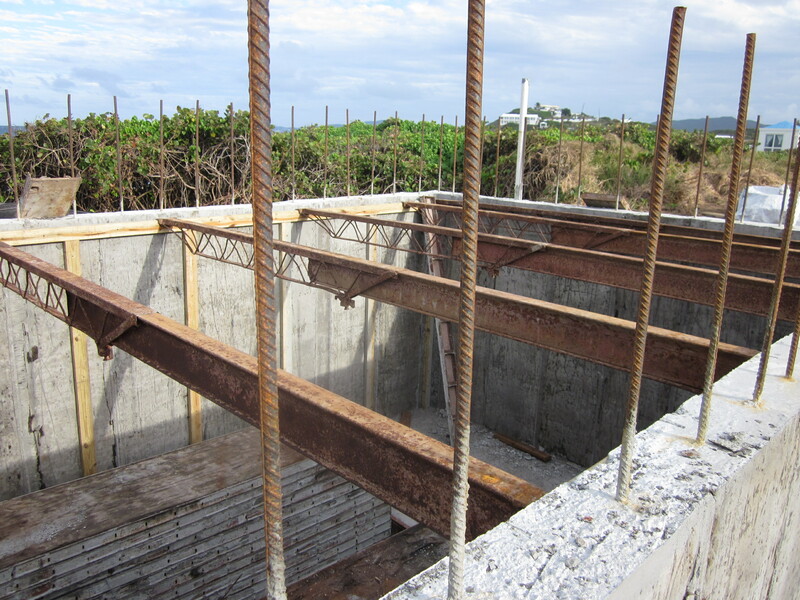 This is what is basically the lower level of the house. 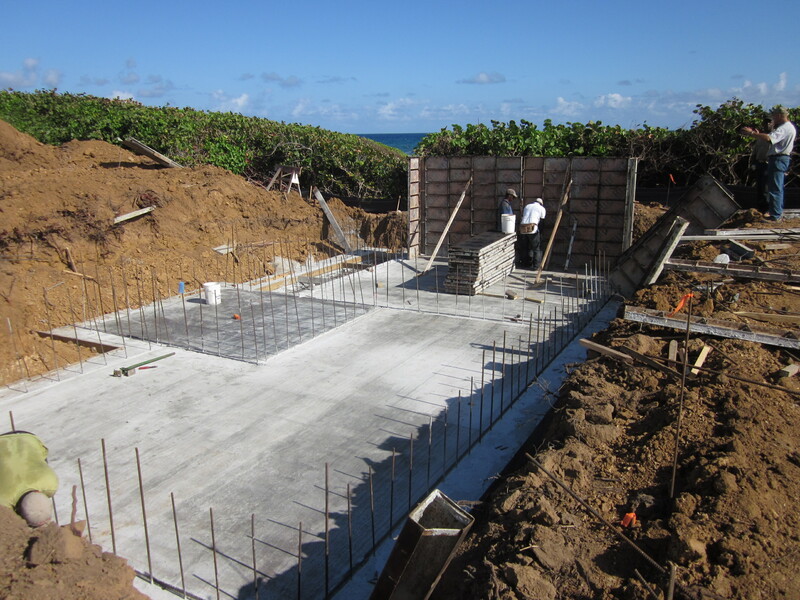 It consists of the electrical room and two compartments of the larger 30K+ gallon cistern. 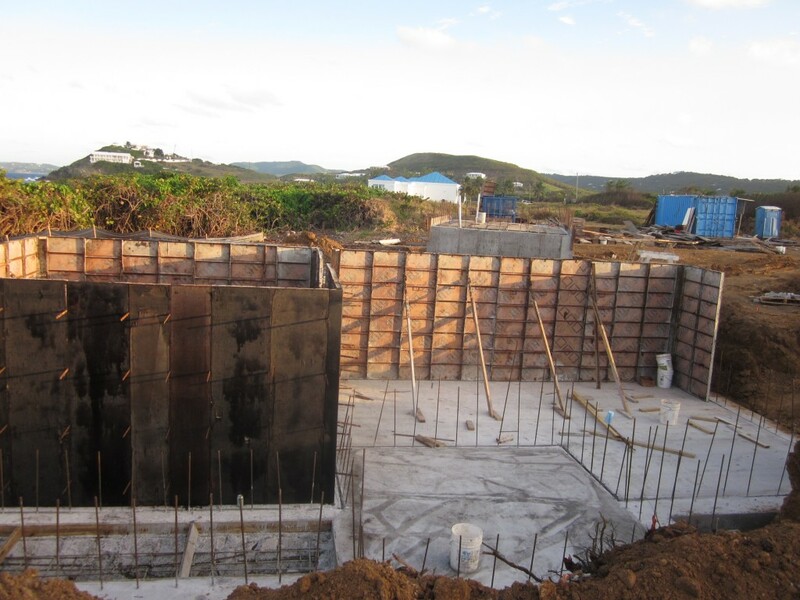 Thursday was spent starting to get the forms for the cistern walls up as well as getting the forms in place for the smaller cistern’s ceiling.